We've mentioned some great books to grab before, but this list is especially for the fashionista. Whether you like tangible books or e-versions, these are must-haves! This fashion encyclopedia is a basic necessity for learning your fashion history, key designer names, and all the fundamentals of the fashion industry. Vogue considers it the "Fashion Bible". We love this book! It is adorable on the outside, and has all the necessaries for women to learn on the inside. With tips including how to order wine, fix things with limited tools, and dress for certain occasions, this one is a great how-to for the fabulously fashionable lady! 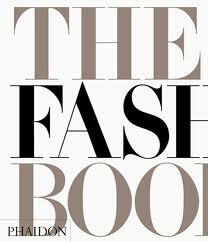 A long-awaited selection, this book puts together the many principles of Fashion Law we've discussed here and share with some of our Fashion Law Family. 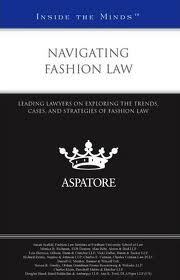 Fashion Lawyer Charles Colman is also featured in a chapter. Deluxe gives inside perspectives of fashion giants like Louis Vuitton, Prada, and Chanel. You get the story on how these labels came to be, and some which almost didn't. The inspiration for aspiring fashion designers is wonderful. Love this one! Not only does this book offer great fashion tips and style savvy, but also amazing illustrations. It is a joy to read this piece. Nina shares her life as well as her love and outlook on fashion. The life of this fashion icon is more telling than anyone would realize. Take a journey into her story, and find out just how the Chanel empire came to be. A selection by a gentleman closer to the fashion industry than almost anyone else. Andre shares his experiences and insights, giving us a first-hand glimpse of the fashion world from one of its pillars. Surely there are plenty of other great fashion books out there. Let us know which ones you like!